Our staff, partners and volunteers are improving public access and protecting habitat at the Green Gate access site on the Quilomene Wildlife Area by building an informational kiosk and installing green-dot road signs. The Green Gate access site, off Old Vantage Highway east of Ellensburg, is the primary public access to the Quilomene Unit, part of the Washington Department of Fish and Wildlife’s (WDFW) L.T. Murray Wildlife Area. Despite being a popular access point for wildlife watchers, horseback riders, upland bird hunters, hikers and anyone seeking to enjoy these picturesque state lands filled with rolling hills of sage brush and ridges topped with copses of ponderosa pine, it’s tough to find on a map. Until now, it was only identified by two green gates across a single dirt road. With no signs or placards, it’s difficult to know when you’re there. Critical winter range for elk and mule deer, and potential habitat for Washington’s endangered sage-grouse, the Quilomene is also an important location for our Sagelands Heritage Program, and provides core habitat for a diversity of wildlife. The grooves in this landscape have deeper soils, so the vegetation is thicker and stays green longer than the surrounding ridges and south-facing slopes. These are favorable conditions for wildlife during extreme temperatures. The Quilomene’s Green Gate area is particularly critical for elk during the spring calving season, who rely on the protection and nourishment it provides while snow covers higher ranges to the north and west. In the Naneum Ridge to Columbia River Recreation Plan, the Green Gate area is identified as one in need of protection and restoration. 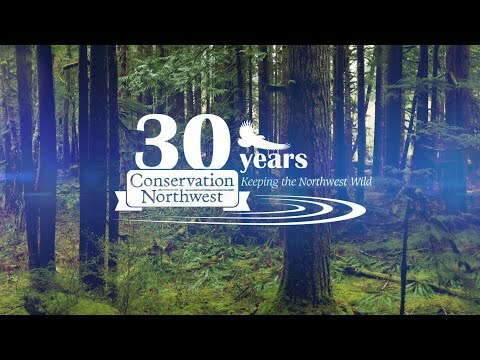 This plan, produced by WDFW, Washington State Department of Natural Resources (DNR) and other groups, guides recreation planning from the east Cascades to the Columbia River. The plan calls for decommissioning illegal user-created motorized roads to enhance the habitat and reduce stress on wildlife. To increase public’s understanding of the value of this area, the plan also includes building a parking lot and informational kiosk that identies the Green Gate area and explains the importance of protecting and restoring this sagelands habitat. Restoring illegal roads also includes implementing better green-dot signage, which identifies which roads are open, and which are closed or were illegally-created. Check out this Instagram post about Rose’s work to install green-dot signs in the Quilomene Wildlife Unit, which will help people recreate sustainably, while protecting habitat from damage! The morning of November 17th dawned clear and cold with blue skies and temperatures hovering around 26°F. As I drove my truck out to the Green Gate area, I was thankful the sun was shining and there was no wind—for Ellensburg, this is a big deal. As the sun began to warm the air and melt the night’s frost, our volunteers started to arrive. Five volunteers from WDFW’s Master Hunter Permit Program, Jeff Bast, Dave Clark, Keoni Sabalreliiholokai, Steve Phillips and Ken Marable, as well as WDFW Quilomene Wildlife Area Assistant Noel Winegeart and myself completed our team of seven motivated individuals. It only took a couple minutes to find our rhythm. The sound of power tools and casual chatter filled the air as we transformed a pile of building materials (donated by local companies Matheus Lumber and Knudson Lumber – THANK YOU!) into the frame of the kiosk. With drills whirring, paintbrushes swishing and saws slicing, the metal roof went on and the plywood panels were framed and hung. As the sun neared the horizon and the temperatures began to dip once more, we cut the last boards and fastened the last screws. We had done it—we finished the kiosk in one day! It’s amazing how much of an impact a group of dedicated volunteers can have on protecting a landscape. We weren’t the only ones out enjoying Green Gate on this beautiful fall day—a number of bird hunters with their dogs, buddies or kids came out dressed in bright orange to try their luck at bringing home some game. Whether your time in nature is spent hunting, bird watching or horseback riding, your passion for the land is a part of who you are. Our passion brings us together to restore these wildlands and ensure wildlife can continue to call them home, and people can continue to enjoy them, now and into the future. LEARN MORE ABOUT OUR EFFORTS TO MAINTAIN, RESTORE AND CONNECT SHRUB-STEPPE LANDSCAPES BY CHECKING OUT OUR SAGELANDS HERITAGE PROGRAM. INTERESTED IN VOLUNTEERING WITH US? VISIT OUR VOLUNTEER PAGE!